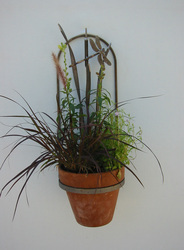 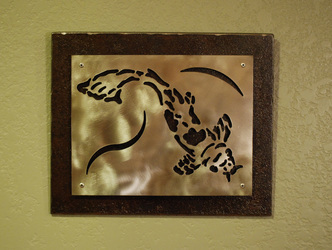 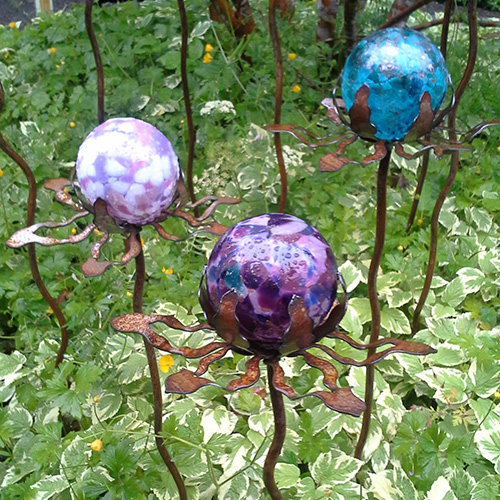 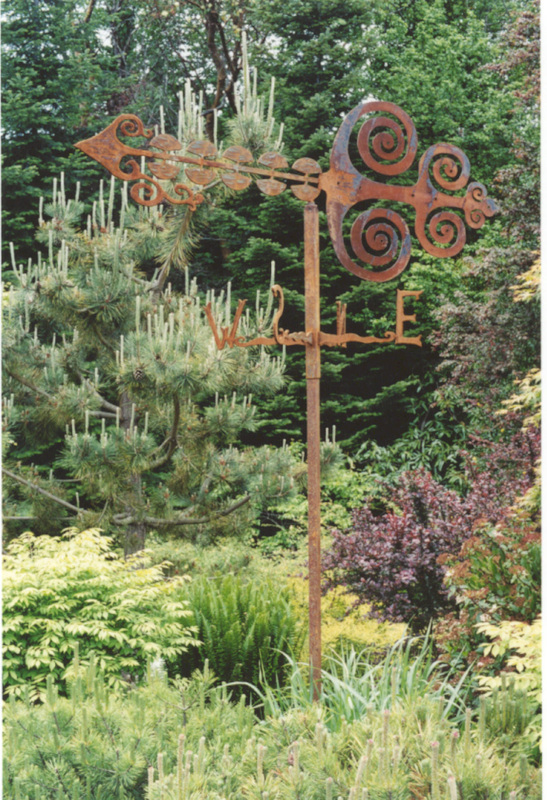 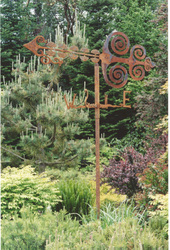 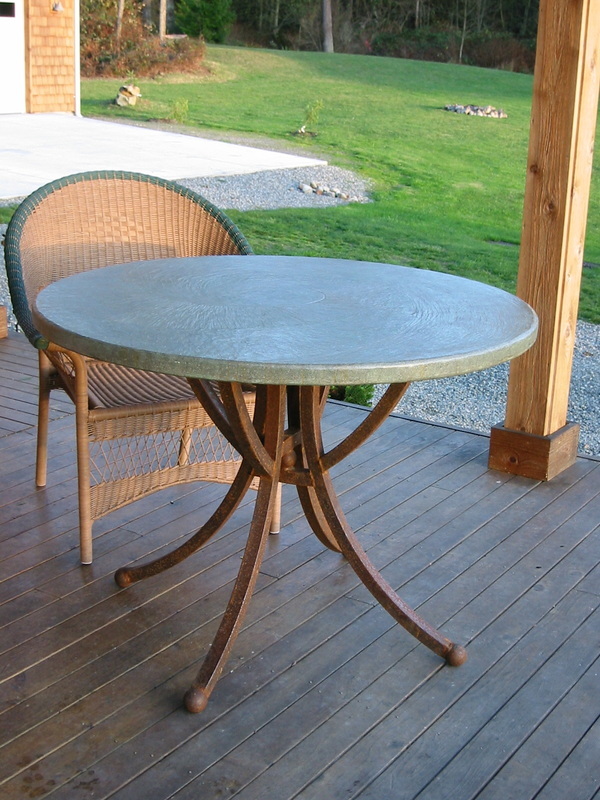 We have been creating handmade home and garden art on Whidbey Island, WA since 1997. We are located north of the Seattle Area. 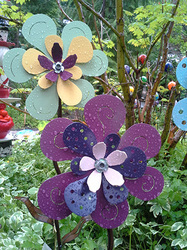 We enjoy participating in local Garden Shows and Art Festivals. 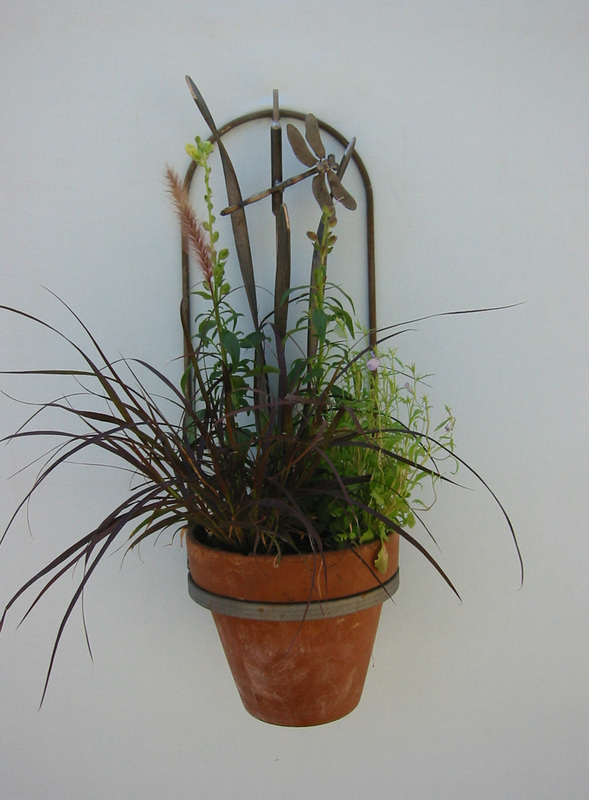 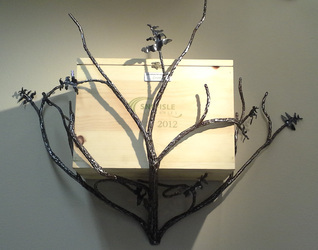 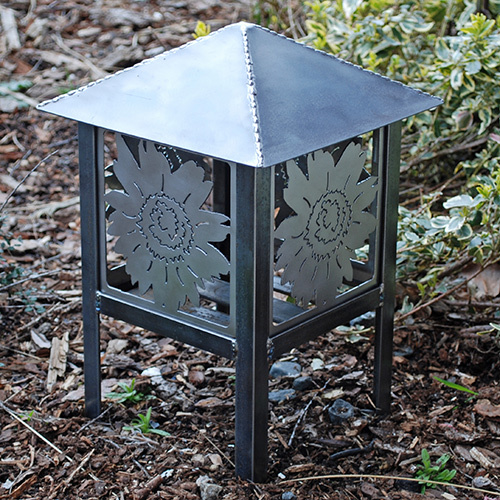 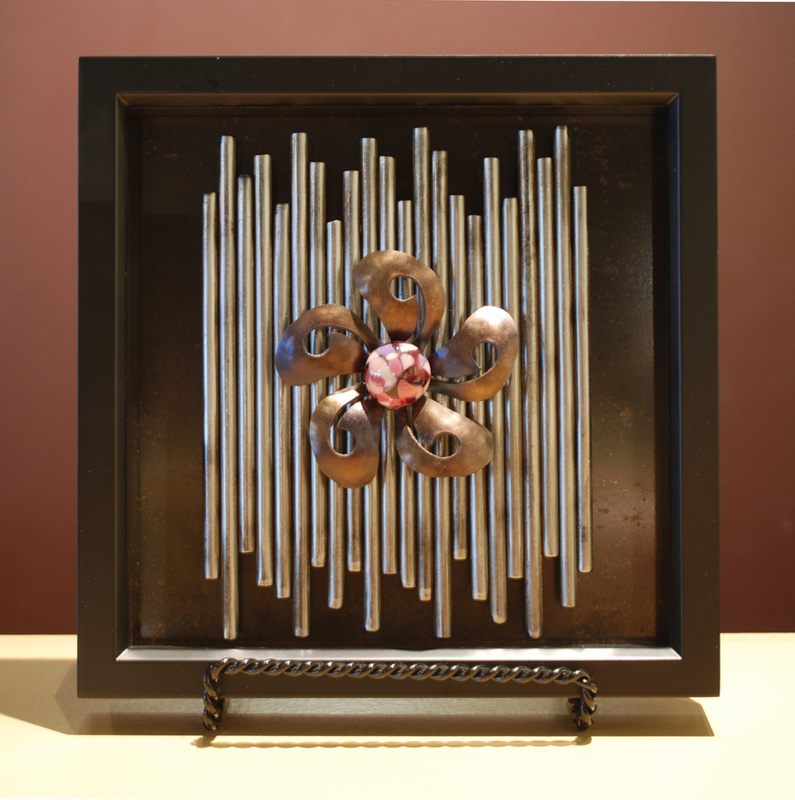 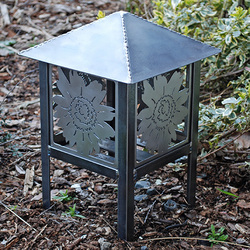 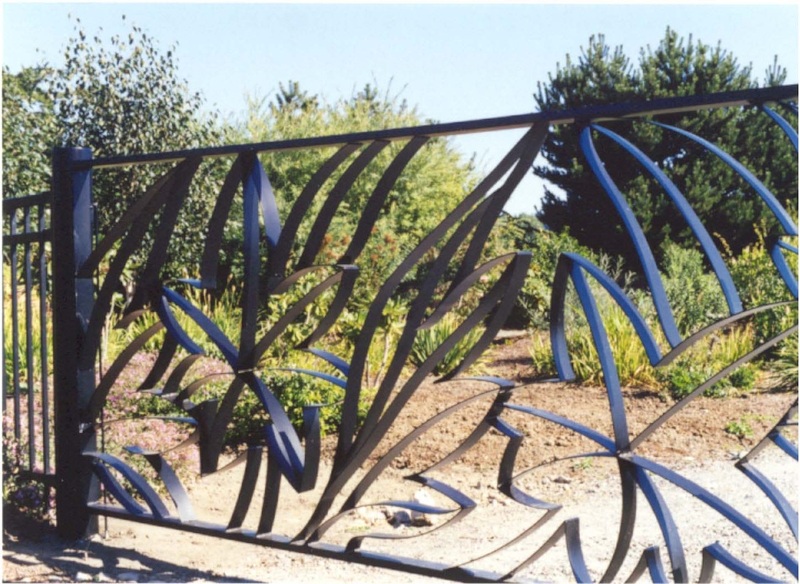 As artists, we strive to design and create functional art pieces for the home and garden. We create our pieces from new and recycled steel, copper, stainless and aluminum, which we cut, grind, and form into components that we weld together. 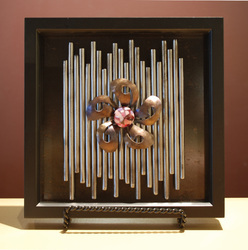 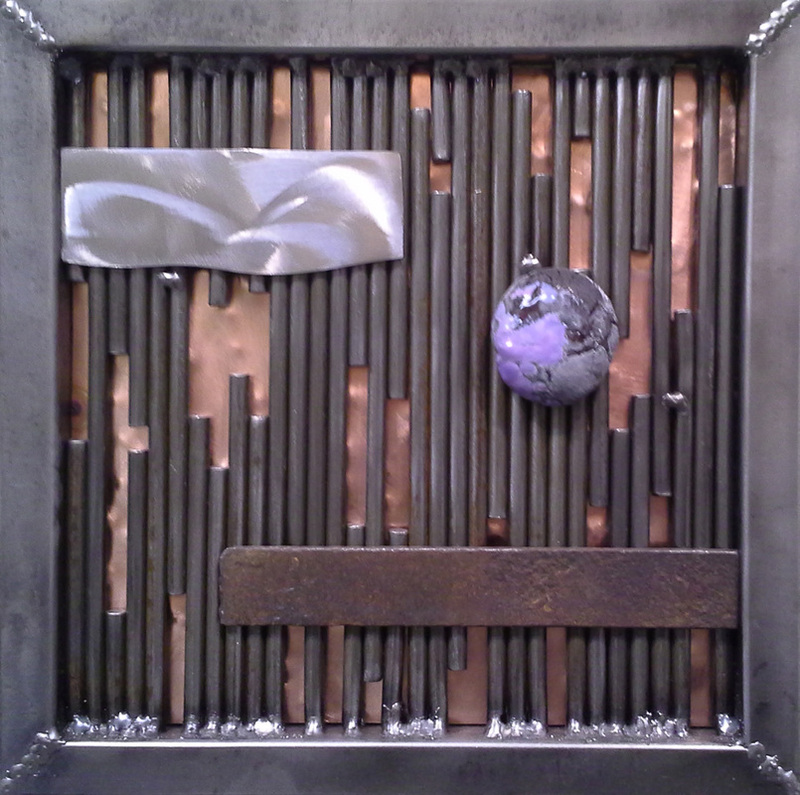 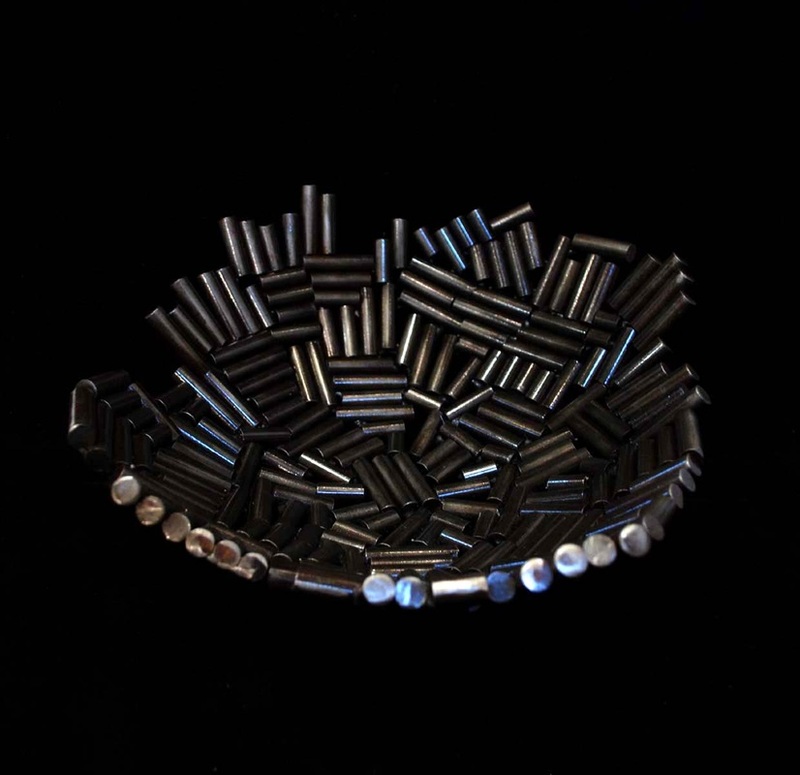 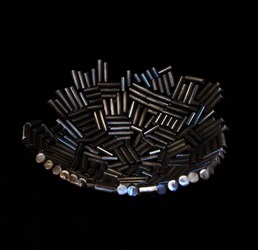 Some of our pieces also include cast cement elements and fused glass pieces that we have also created in our studio. 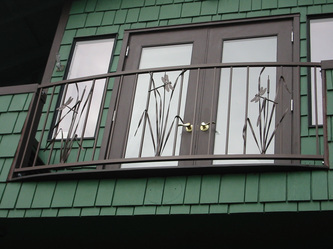 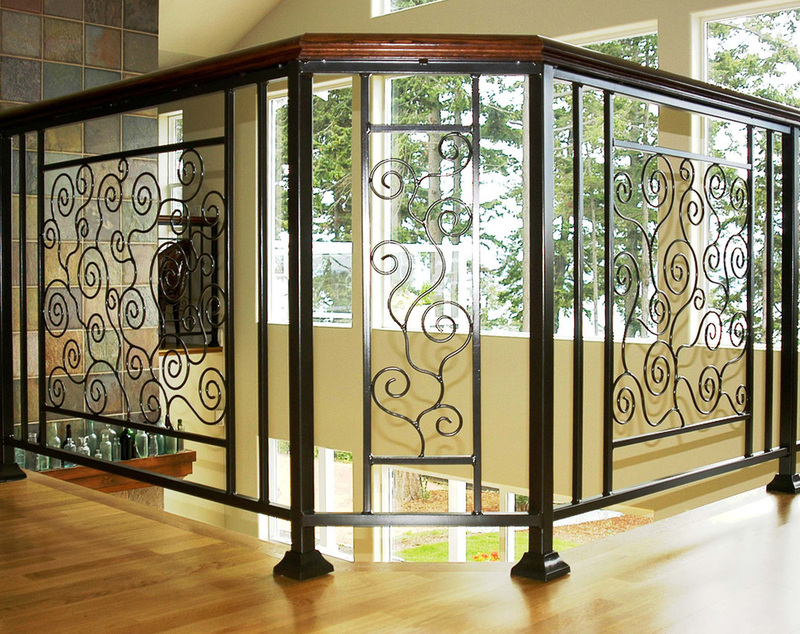 Our products are mostly made out of mild steel, therefore if they are not coated with any laquer or powdercoating finish, they will weather and rust nicely. Most of the items are brushed, new steel (gray color). 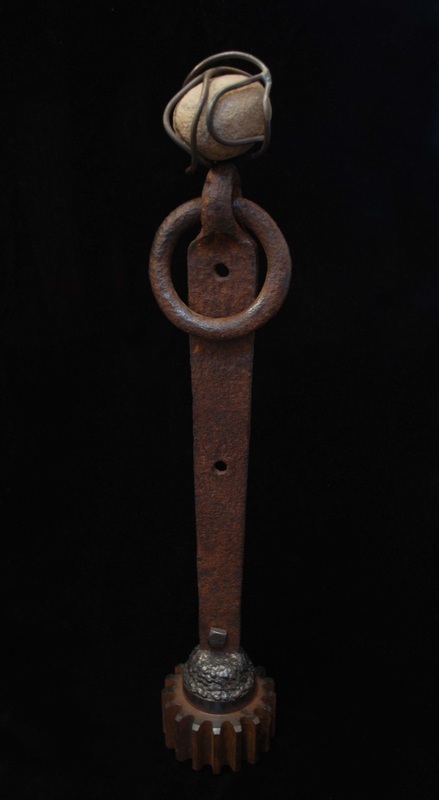 If the item appears pre-rusted, the rust can range from a bright orange appearance to a dark, brown like appearance. 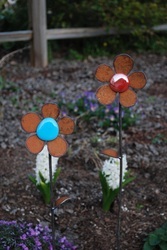 All will eventually turn dark brown rust color. 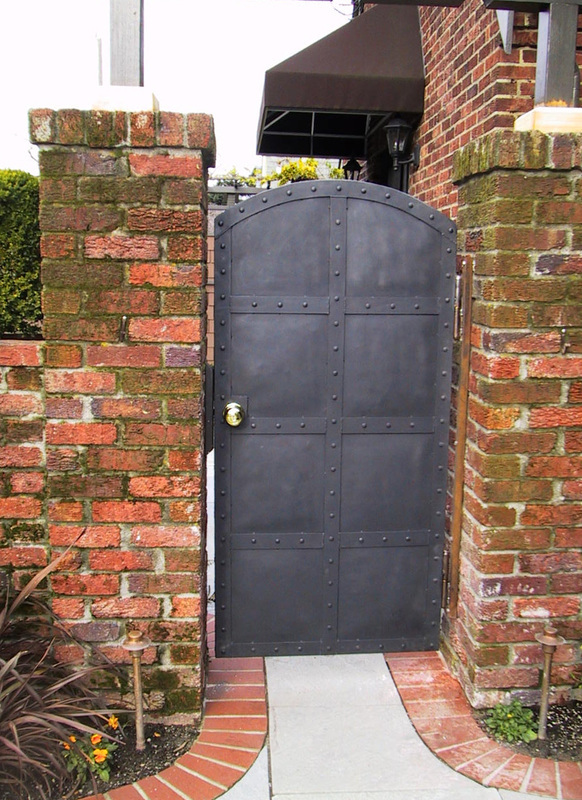 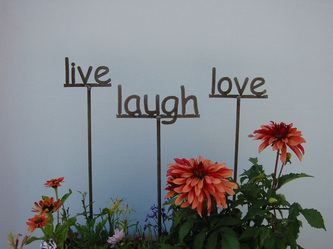 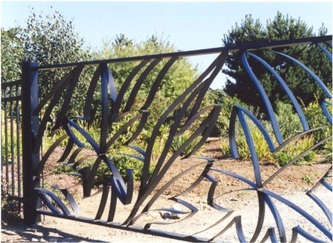 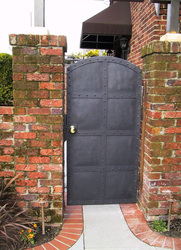 We make a variety of home and garden art from simple garden stakes and wall plaques to custom gates, fences, and railings. 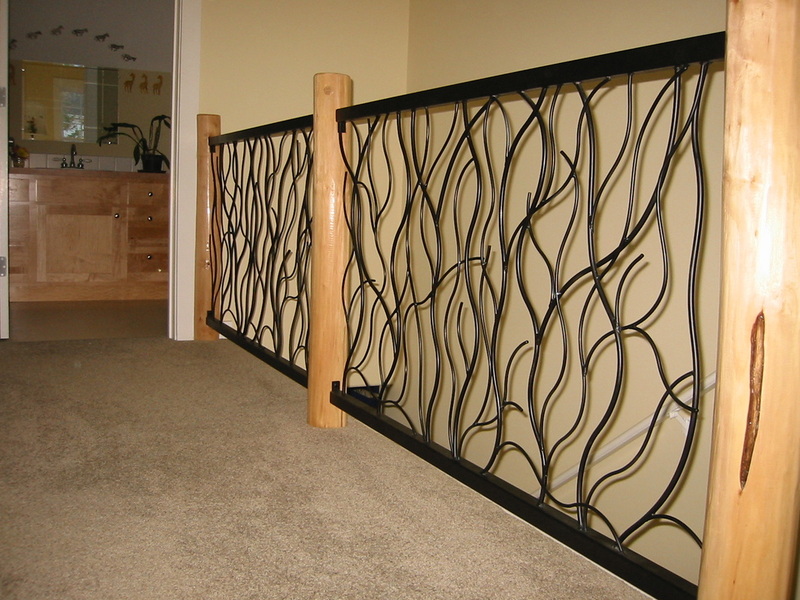 Please take a look at our website www.winfielddesigns.net and view our custom page under products for more examples.